Free Shipping Included! 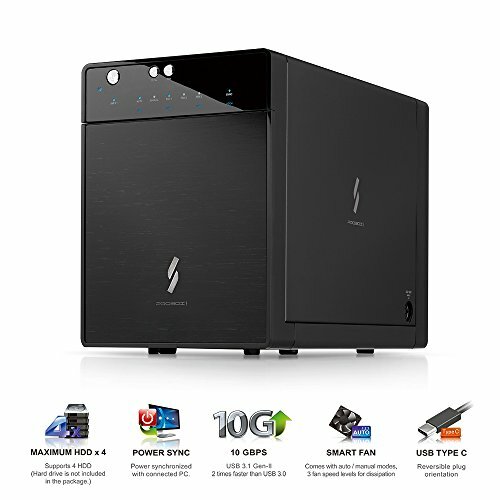 Mediasonic USB 3.1 4 Bay 3.5” SATA Hard Drive Enclosure – USB 3.1 Gen 2 10Gbps Type C / USB-C (HF7-SU31C) – Certified Refurbished by Mediasonic at Pacs BG. MPN: HF7-SU31C-CR. Hurry! Limited time offer. Offer valid only while supplies last. Mediasonic PROBOX HF7-SU31C is a 4 bay 3.5-inch SATA hard disk drive enclosure. It also supports 2.5'' SATA hard drive (bracket adapter required).